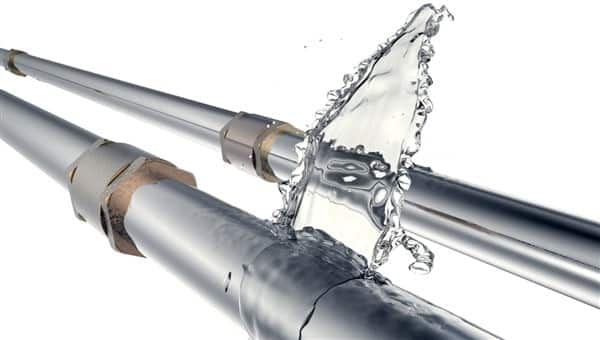 Get a professional leak defense system by Clovis Plumbing Services! Offer applies to the purchase and installation of a leak defense system. When thinking of water damage, our minds often imagine burst water pipes, roof leaks, or flash floods. However, water damage is often the result of a modest, undetected leak that slowly deteriorates the integrity of the home. We recommend that each home plumbing system should operate a quality water leak detection system. Mould is the most deadly fungus that sometimes take up residence in a home that's harboring damp conditions. What Does Leak Defense Actually Do? The leak detection unit by Leak Defense is installed on the home's main water line. This means that the water system is monitored day in, and day out. It will also save on water usage, as well as contribute to overall water consumption and conservation. This gives you sufficient time to investigate a water leak and have it addressed by a local plumber. Originally developed to identify and resolve pinhole and slab leaks. It is incredibly sensitive. Managed via a state-of-the-art control panel and available to users via mobile app. Shut-off valve that is automatically triggered in the event of extremely unusual water usage. The system runs on two basic active modes, being Home and Away. You will need to understand the Time to Alarm function, and the Trip Rate. If, for example, your daily shower takes you 15 minutes, your Leak Defense System alarm is going to start alerting you of in-home water consumption within 5 minutes. You will need to set your Time to Alarm to a more realistic 20-minute period. This would apply to your Home mode, while you might keep the factory-setting for your Away mode. Open a faucet and watch the bar graph on your Leak Defense System panel to see what percentage that flow is. Then, slowly close the faucet and compare how this affects the flow rate displayed on your system graph. While most homes average trip rate is 7%, small leaks trip rate as low as 3-4%, is good in Away mode. This allows us to offer accurate water leak detection to our clients, at a competitive price. The intricate installation and pain-staking refinement of each home's settings, can become a challenge better left to qualified plumbers. Why not rest easy knowing that your home is safe from leaks, great and small?